Gerrard Builders is known for their insane custom home builds. They’ve tackled everything from highly impressive golf estates to quaint English-style cottages. Awards: They snagged a Best of Houzz award three years in a row (2015, 2016 & 2017). Home we love: This dreamy Fairytale cottage looks like it was plucked straight out of a storybook. Specializing in high-end custom homes ranging from $1M-$5M, Knight Residential Group knows how to create a wow factor. You’ll find their work in Cotswold, Eastover, Myers Park and other prominent Charlotte neighborhoods. Home we love: This stunning Myers Park modern home is giving us major pool envy. Interesting fact: They also have a team in Charleston that primarily handles projects on the ultra luxurious Kiawah Island. Take one look at their portfolio and you’ll see there’s no custom home build too big for Thompson Custom Building Group. You can find their work across Charlotte as well as in Lake Norman and Lake Wylie. Home we love: This mid-century modern home on Lake Norman has its own BOWLING ALLEY. Interesting fact: Ted Thompson comes from a family of builders and engineers so he really knows his stuff. Whether in Foxcroft or Plaza Midwood, Grandfather Homes is known for custom masterpieces that exude with luxury and character. They are the builder behind Duets, a small community of townhome-duplex homes off Ideal Way in Dilworth. Interesting fact: Owner, Matt Ewers, was named one of Charlotte Business Journal’s “40 under 40” in 2016. 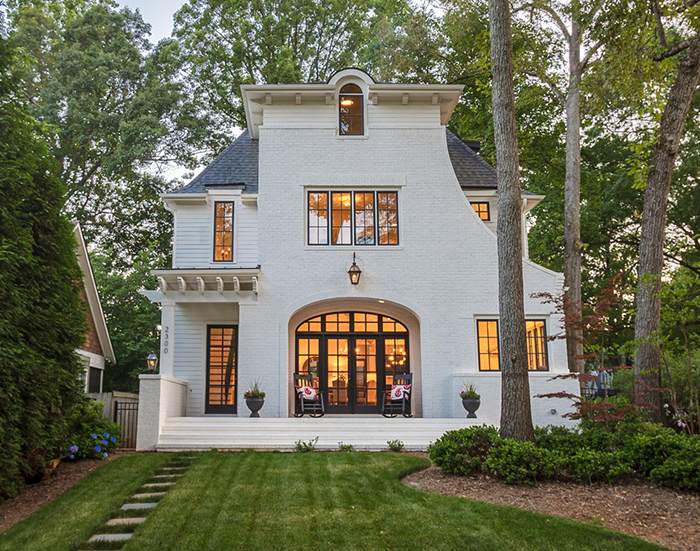 Home we love: Featured in SouthPark Magazine, this incredibly charming Chantilly home has a non-traditional facade that we’re really into. 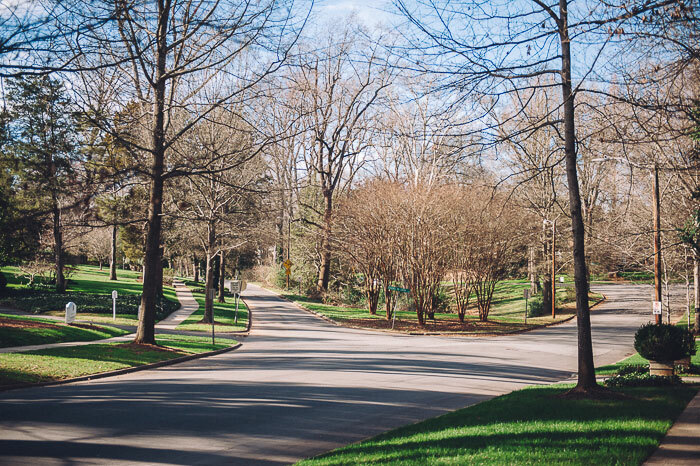 Along with custom homes and renovations, Simonini is also responsible for over a dozen luxury neighborhood divisions in the Charlotte area. Some of their neighborhoods include Conservatory, The Enclave at Chrishall and Cotswold City Homes. 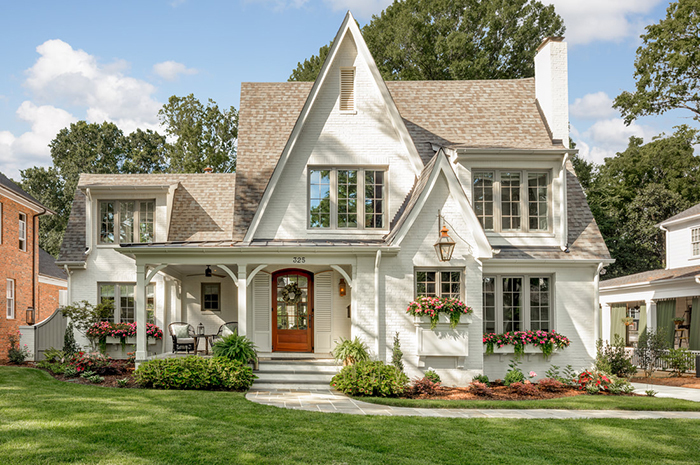 Home we love: Beyond obsessed with this Lake Norman home renovation. They included an indoor slide. Need we say more? 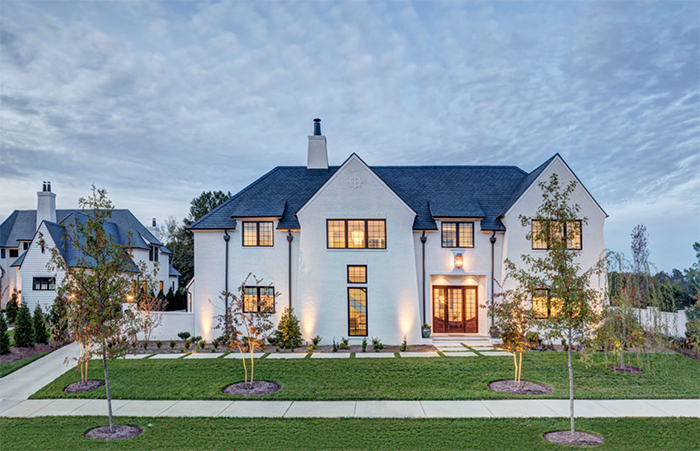 Awards: The only builder in our region to win the coveted “Triple Crown” of builder awards — National Builder of the Year, America’s Best Builder and winner of the National Quality Award. 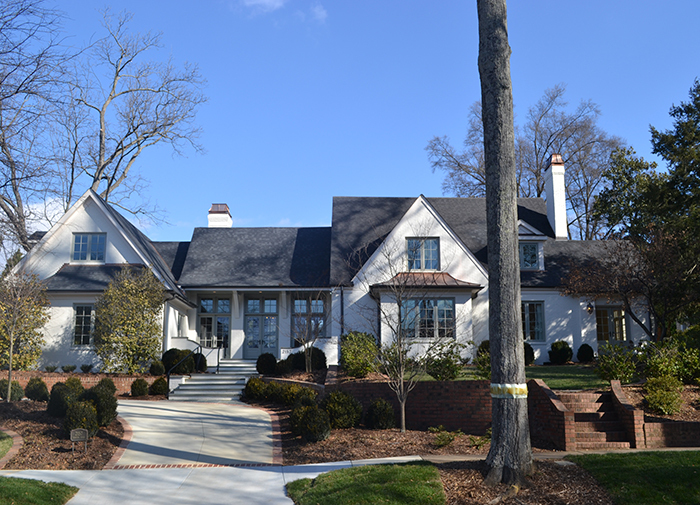 Serving the region since 1950, Andrew Roby is one of the most established, experienced custom home builders in Charlotte. They specialize in home construction, remodeling, kitchen and bath renovations and handyman services. Home we love: This quirky remodel is the perfect combination of traditional charm and modern edge. Awards: Received a Best of Houzz Design award four years in a row (2014, 2015, 2016 & 2017). Craft, beauty and commitment are the three words Whitlock uses to define their luxury custom builder brand. The company, established in 1957, has a long history of serving Charlotte’s tree-lined streets. They’ve done everything from a rustic, yet modern, farmhouse to an astonishingly elegant Dutch Colonial. 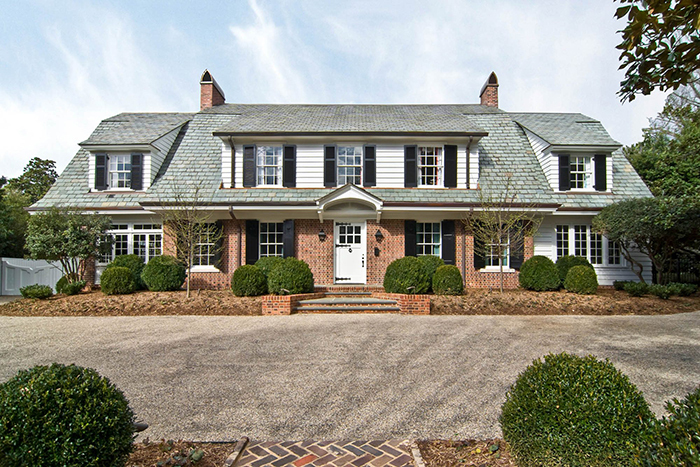 Home we love: The sloping roof on this Jacobean Tudor home in Eastover adds so much curb appeal. Interesting fact: The company, originally founded by Hubert Whitlock, celebrated 60 years of business in 2017. 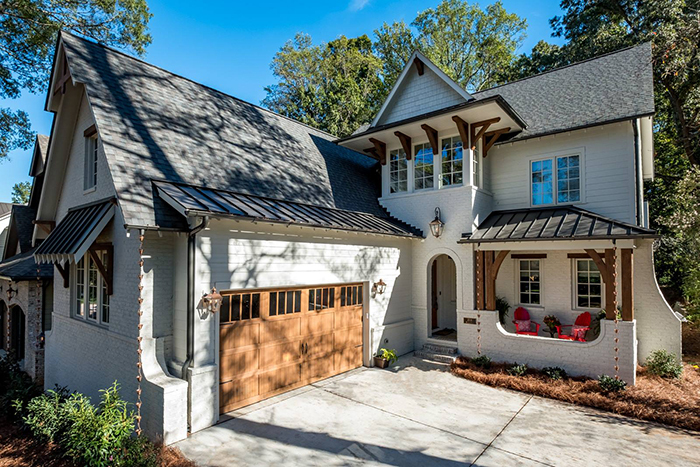 This custom builder is a newer name in the Charlotte scene, but they’ve already completed some ridiculously beautiful remodels and home builds. Some of their handy work can be seen in Sherwood, Eastover and Dilworth. Home we love: A Dilworth kitchen remodel featuring a stunning blue range? Sign us up. You’ll find Pike Properties’ new construction homes and remodels in communities all over Charlotte. Established in 2008, they specialize in finding and developing properties to their full potential. Awards: They received both a Best of Houzz Design and Service award for 2018. 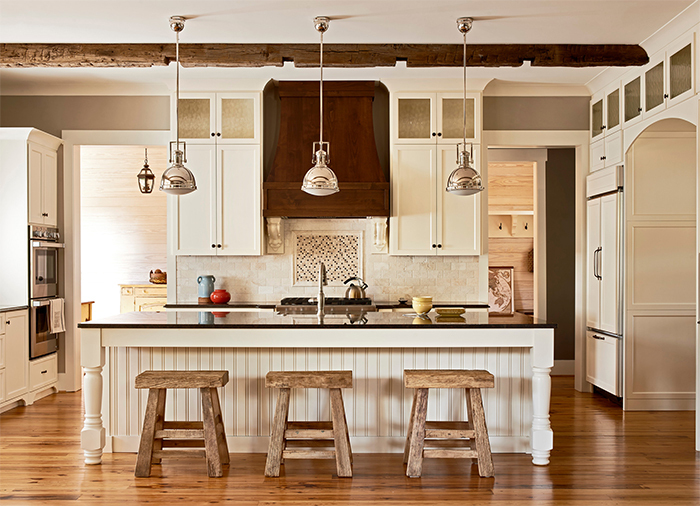 New Old is a nationally acclaimed luxury builder and interior design firm in North and South Carolina. Their work has been featured publications such as Better Homes and Gardens Kitchen Makeover and This Old House. 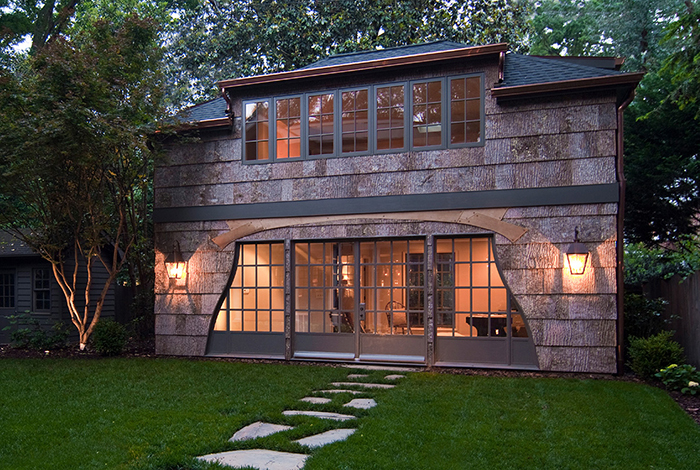 Plus, they have over 9 Houzz awards. Home we love: The minute we saw this cozy Fort Mill farmhouse we were ready to move in. Interesting fact: New Old is the builder behind Charlotte’s first Southern Living Inspired Community, The Bramble, in Fort Mill. 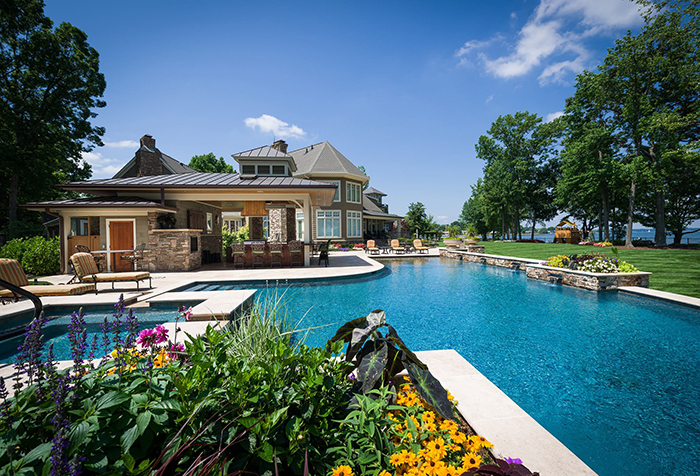 Arcadia has been building custom homes in Charlotte since all the way back in 1994. You’ll find much of their work in South Charlotte, Weddington and Ballantyne. They also build in Lake Norman and Lake Wylie. Home we love: Our jaws dropped when we saw this insanely ornate mansion in Longview Estates. The library is straight from Beauty and the Beast. Interesting fact: They are the exclusive builder for The Meadows at Weddington, a private, gated community filled will stunning country estates. 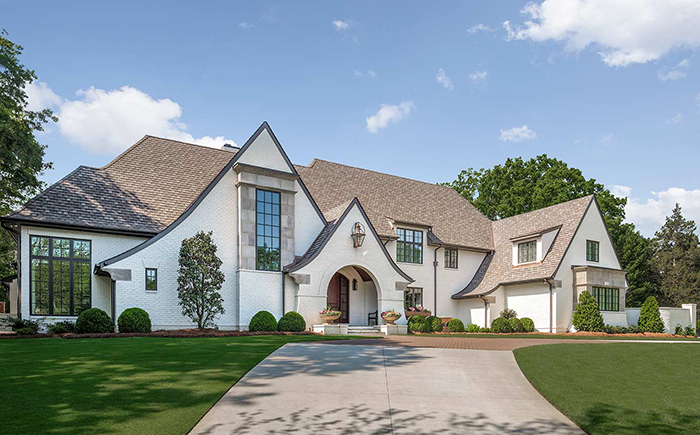 This award-winning custom home builder, builds custom homes in well-known and respected Charlotte neighborhoods such as The Sanctuary, The Point, Springfield, The Club at Longview, The Penninsula and many more. They also build in Charleston, SC. Home we love: The outdoor living space of this New England Country Estate made us swoon. Interesting fact: Leeke and his wife are originally from England. They immigrated to the U.S. in 1996 and founded Kingswood Custom Homes the same year.